Some people like side tear checks with the side tear feature. This feature was developed to help prevent tearing the check. The side tear check format solves the problem of accidentally ripping your checks. There are a large variety of personal checks available in the Side Tear Checks Style. Choose from hundreds of unique, artistic check designs. 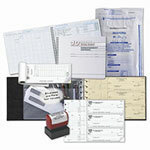 Moderately priced and easy to use, the side tear check format can make your check writing much easier. Order matching side tear checkbook covers online. As a consumer you have several personal check formats that you can choose from. When you choose a side tear check, you make your life a little bit easier. Perforations on the left side of your checks allow for easy tearing. Whether you order single or duplicate personal check styles, you'll save up to 70% off standard bank check prices. Plus, our high quality check printing machines also offer the best check security. With easy online ordering, your side tear checks will come to you quickly through the mail. Enjoy our personal checks with matching checkbook covers and address labels.